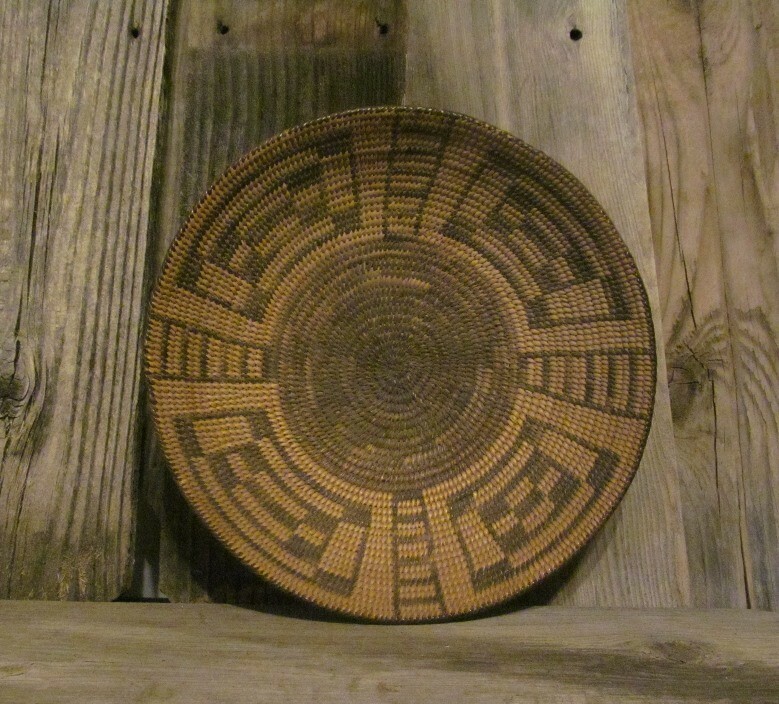 Antique, Handmade basket by the Pima Indians in a 'Turtle Back' design. Circa 1800. 10" in diameter and is 2 1/2" tall.